Our purpose in the Media Ministry here at Friendship Missionary Baptist Church is to carry the Gospel of Jesus Christ to our visually-driven, ever-changing world through the use of technology and media, and to equip other ministries of the church to use digital and electronic media as a worship and outreach tool. We hope to enhance the worship experience through audio and video. This ministry not only provides the technical support required for our worship services, but also records various events, teachings and sermons, which are made available on CD/DVD. Do you have a natural gift for electronics, sound or video equipment? 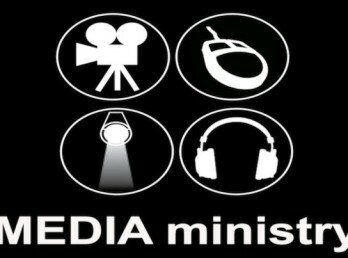 There are many opportunities for you to serve in Media ministry. If you would like more information about our media ministry or want to volunteer as a team member, contact us. Audio Engineer – You will be responsible for controlling and operating the volume levels for all mics and instruments used on the stage mixed in the media booth. ProPresenter/Powerpoint – Located in the media booth, this position serves predominantly during worship services. Working with lyrics, announcements, etc. that are projected on the screens in the Sanctuary. Web team – You can join the web team as a contributor to content by using your writing, editing or photography skills. Photographer – If you have a digital camera, are familiar with sharing files online and are interested in taking pictures of people, we need you! We need pictures of church life, services and events taken on a regular basis. Graphic Designer – If you have a computer and are familiar with desktop publishing software like InDesign, Photoshop Elements or others that are similar for layout and image creation there are many ways your skills can help. There is a constant need to promote announcements and events through our web site, signage and other digital media. For more information about our media ministry, or to volunteer, contact us.